Encounters with Asian Decolonisation compels us to rethink Australia’s place in Asia’s past through the work of individual Australian government officials in Asia after World War Two. 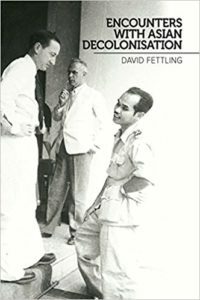 In this first book for David Fettling, which is based on a PhD dissertation completed at the Australian National University, he highlights a disjuncture between Australian ‘ideology, ingrained ideas and assumptions on the one hand’ and these officials’ ‘first-hand experience and “learning” on the other’ (232). He thus contests prevailing historical scholarship on Australia-Asia interaction during this period, which emphasises Australian animus towards Asian decolonisation. The book centres on the work of Richard Kirby, Francis Stuart, Tom Critchley, Keith Officer and John Burton. These men acted on behalf of the Australian government in diverse roles and in different locations released from colonial control at the end of World War Two: current-day Indonesia, Malaysia, China and India. All left a rich government archival record behind them, the basis for Fettling’s account. After an opening chapter on popular Australian responses to Asia between 1930 and 1949, which provides background for ongoing comparison, the book delves into the activities of the five individuals. In Chapters Two, Three and Five, dealing with Kirby, Critchley and Burton, Fettling depicts ardent advocates of decolonisation in Asia. Kirby, a judge appointed by the Australian Department of External Affairs in 1946 to find the murderers of three Australian war crimes investigators in Tjaringin, Java, acted closely with Indonesian nationalists in this search for justice. Critchley, Kirby’s aide and then External Affairs successor in Indonesia, championed the Indonesian Republic, opposing the Dutch through the UN in 1947 and 1948. Burton, Secretary of the Department of External Affairs over the period from 1947 to 1950, similarly supported Asian nationalism, appearing perhaps most notably at a 1949 New Delhi conference of non-Western countries as the only delegate who identified as ‘European’ (188). These three men, according to Fettling, largely, but not entirely, defied the ‘racialist baggage’ of their era to become agents of change in Asia and Australia (229). In Chapters Four and Six, however, which explore the work Stuart and Officer, Fettling describes reluctant proponents, yet proponents all the same, of Asian decolonisation. Stuart was attached to the Australian Commission in Malaya and took part in what he saw as a hopeless British campaign against Communists on the Malay Peninsula between 1947 and 1950. He advocated a transition from colonial administration to a limited nation-state arrangement in Asia. Officer, who was the Australian Ambassador to China between 1947 and 1949, also supported a restricted form of Asian nationalism that protected the interests of the West. These two men, Fettling contends, indulged in regular stereotyping of Asians, yet simultaneously performed their duties in a way which recognised, in the words of Stuart, ‘how the world had changed’ (230). The book’s principal strength is its use of biography. By following the deep archival footprints of five people, Fettling is able to compose an authoritative and absorbing historical narrative. The authority of this approach lies in its allowing him to interrogate overarching thought on a personal level and tease out discrepancies with which to contest other scholars’ assumptions about this period. 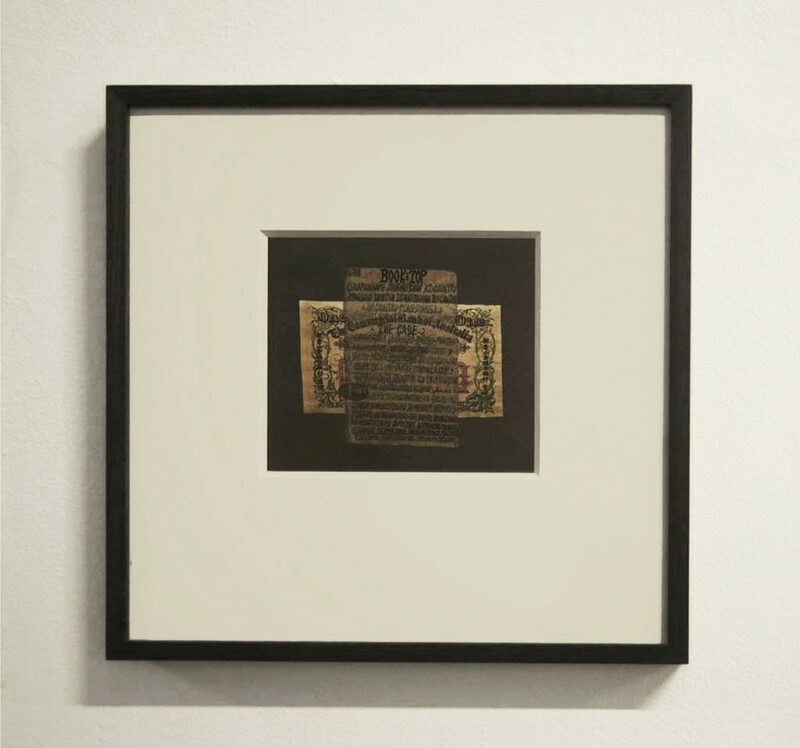 This technique, often referred to as ‘microhistory’, has also been deployed effectively in landmark works such Carlo Ginzburg’s The Cheese and the Worms. Fettling’s biographical sketches are absorbing, too, because they enable the reader to experience events of the time through the hopes, fears, realisations, reservations, satisfactions and frustrations of individuals, rather than through abstract concepts. Yet, the use of biography is a weakness as well. Indeed, the subjects of Fettling’s inquiry are representative and relatable only to a point. All were male, educated, literate and articulate, coming from middle- and upper-class families, employed in desirable government positions, and all of Anglo-Australian ancestry. As such, the implications of their work and their appeal to a general readership are finite. The men’s activities in Asia often also seem to obscure the central drivers of decolonisation in Asia, Asians, who have been extensively marginalised in Australian histories until recently. This is not only somewhat disconcerting, but it also makes Fettling’s approach seem odd in that most microhistories are intended to revive overlooked groups of the past, or those ‘passed over in silence, discarded or simply ignored’ as Ginzburg calls them: groups of which Fettling’s subjects were not members. 1. 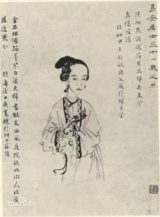 I thank Feng Zhuqin for helpful advice on drafts of this review. 2. Ginzburg, Carlo. The Cheese and the Worms: The Cosmos of a Sixteenth-Century Miller. London: Routledge & Kegan Paul 1980. PETER GIBSON is a PhD candidate at the University of Wollongong. 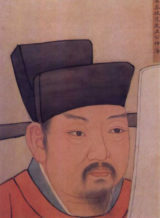 His thesis is about Australia’s Chinese furniture industry in the period between 1880 and 1930. He has published in the Australian Economic History Review, Labour History and Chinese Southern Diaspora Studies. He is passionate about bringing unheard voices into the narrative of Australia’s past. 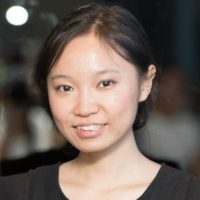 Wanling Liu (born 1989, China) completed her MA in Translation and Transcultural Communication at the University of Adelaide. 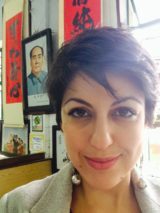 She is a literary translator and teaches translating and interpreting in Adelaide. She has developed a passion for performance poetry and storytelling events and has won spoken word prizes with her poetry published in local anthologies. It was nine o’clock at night. I was five and feeling bored at home, scribbling away with colourful pencils in my colouring book. There were never enough colours to choose from. I yelled out to Mum that I wanted to go to Mrs. Han’s to play with Huahua. “I know the way! I know how to get there. I know how to get to Mrs. Han’s! You can come with me!” I persisted. Mum and I got off the bus and walked through the garden paths and a few dim-lit alleys until we reached Unit Block 3. “I remember she’s on Level 3, 303.” I said. Mum and I walked up the stairwell in darkness as the light was not working. When we reached level 3, I couldn’t wait to knock on the door. We walked into the living room. I sat right next to Huahua. On TV a group of kids were singing my favourite tune, “Not as sweet as flowers, not as tall as trees, I’m just a little blade of grass that no one ever sees….” We sat in front of the TV and watched attentively. Mum sat down, and Mrs. Han was busy making tea for us. Half an hour had passed; I started to feel tired and bored. The songs started to grate on my ears. Mum and Mrs. Han were chatting away. My eyes started to wander: The fluorescent light was still dazzling, but everything in front of me seemed a bit dull. Huahua offered to show me her picture collection, but realized there were a few pages missing. We started searching in drawers and chests. As we were looking for the missing ones, I noticed a yellow wooden door beside me with a silver door knob on it. The doorknob lured me. The temptation was simply too great. I put my hand on the door knob and it turned effortlessly. Realizing I could open the door, I walked in. I could see a giant bed, with its edge high up and with a white sheet and a white quilt spread over it. Someone was lying under the quilt. “Who is that?” I turned to Huahua, whispering, with my eyes still fixated on the person. Suddenly the black hair looked somewhat familiar. I hollered, “Daddy! What is Daddy doing here?” Huahua was silent. Mrs. Han did not utter a sound. My mum did not utter a sound. After a few seconds, the head turned toward me, looking a bit purplish red, and with squinting eyes on it. The person mumbled, “I’ve drunk a little, I need rest.” Something felt wrong to me. I closed the door, went back to the living room, sat back on the lounge, and did not dare to speak. Huahua, Mrs. Han, Mum and I just sat in the living room and watched TV for another half an hour. What was on TV did not make sense to me anymore. I felt like I had done something wrong, but I couldn’t figure out what. Dad said, “It’s late, let’s go home.” On the way back, I felt sleepy and upset. No one spoke a word on the way back. Their faces showed no expression. I thought Mum would be furious. I thought Mum would teach Dad a lesson. I waited in silence in my bedroom, with my ear to the wall. After a long while, all that could be heard was the faintest, almost inaudible sound of weeping. 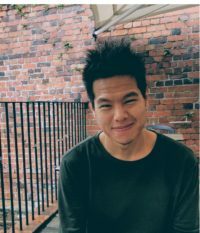 Cyril Wong has been called a confessional poet, according to The Oxford Companion to Modern Poetry, based on his ‘anxiety over the fragility of human connection and a relentless self-querying’. He is the Singapore Literature Prize-winning author of poetry collections such as Unmarked Treasure and The Lover’s Inventory. 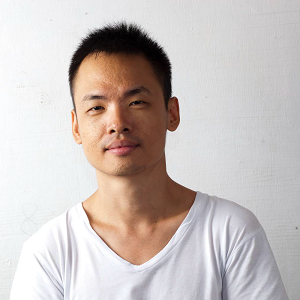 A past recipient of the National Arts Council’s Young Artist Award for Literature, he completed his doctoral degree in English Literature at the National University of Singapore in 2012.
how we get trapped under and cannot move. I seem to weigh less every morning. of an ocean. My bones are hollow music. without suffering at the hands of her mistress. tenderness for what feels like nothing new. of mind as timeless, selfless affection. You tell me how Sufis danced, rooted to the source. My fingers do the flamenco across your waist. folds his donkey into a box or one of his pockets. all day at home beside you, staring into space. fanning stones into gold and into stones again. handsome like him, but I’m your baby in the dark. bag of rocks, mountainous terrain, discrete forms again. after handing his riches to the poor for a brother’s sins. as heavenward departure from cloudy conditioning. suffering temptation, reborn disabled, a tramp. towards Elysium without ever having moved at all. How beauty, as we come to know it, is shaped by our circumstances is something men (gay men even more so, I’d argue) are more likely to forget than women. What does this mean for our sense of self? Self-belief is so overrated we don’t register that what we feel we feel against our will when we desire or love. Even as we recognise the cliché in this, we remain subjugated by circumstance nonetheless. Knowing or seeing clearly is not freedom, not at first. Other things shape us—our moods, our capacity for intelligent thought, our actions—and not as a result of when we perceive ourselves as pilots in cockpits, calling every shot. Move a chair here, unfold a screen there, paint three lines overhead, wear more blues or reds, remove plants, place a bowl of water in the corner: create the conditions for a better life, a more beautiful mind. Not that there is no autonomy whatsoever, but where does it end and the pinball machinations of circumstance begin? Then even when we’re happy, is it our happiness (neural alignments, dopamine production, serotonin levels) that speaks or is it us? Since nothing we feel or do may be because of us, then everything can be manipulated to grant us what we need. So call our feng shui specialist today, so we can be cleverer, happier, more in love, healthier, etc. Or do nothing and just watch as everything falls apart or comes together—watch without judging ourselves or the circumstances that will ultimately pack our bodies into neat little boxes and tilt us into the crematory fire. 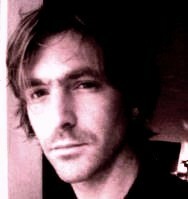 Martin Kovan is an Australian writer of fiction, non-fiction and poetry, which in recent years has been published in major Australian literary journals, as well as in France, the U.K., U.S.A., India, Hong Kong, Thailand and the Czech Republic. He completed graduate English studies with the U.S. poet, Gary Snyder, at UC Davis. He is completing a PhD in academic ethics and philosophy, and has volunteered in humanitarian work in South East Asia. Long lines of people stretch as far as the first palm-trees on the horizon. The trees bend to one side, as if under-nourished, or importuning the earth. You have fed and sustained us, our roots are in your soil, but we are wanting. We need more, earth. Can you offer it, have you more to spare? The aid-worker is employed with the ground crew, meeting those first come from over the border. She sees the beseeching trees, hovering at an incline over the vertical figures beneath, and knows the thought is an idle fancy, mingling between their hazy contours and her own mind. Trees don’t make appeals to the earth; trees are just trees, growing, giving forth flower and fruit, diminishing, then dying. Like the people themselves, she thinks: the burgeoning, the plenitude, the slow demise. She can see the long lines of figures, often in single file, traversing the raised, dirt paths between paddies. Smooth planes of low-lying water are lit blankly by the morning sun: sheets of electric light that flash, off and on, but convey no clear message. It has been raining for days; now the sky is a sheer blue above them. The people are diminished, and many are infirm. Even the newborns, clinging to the girls’ arms, have begun the journey from a place of deprivation. The aid-worker’s job is to ameliorate the worst of the suffering, as much as it is in her power to. And her power is not something to be dismissed; she can even offer a little more than the earth can. Where the refugees have come from, they had water, pigs, flour and small crops. They enjoyed some natural, earth-given bounty. But it wasn’t enough, once the killing started. They needed more, then, than nature can provide. They need the provision of food, and formula for the newborns, ointments and antiseptics the young mothers can’t find in the villages, even the well-stocked and well-situated ones. The people need medical aid and supplies, but still more, the specialized attention which knows how to apply the aid in effective ways. A certain kind of attention, it would seem, that they have not cultivated themselves. For they are poor, and have grown used to being deprived of things most others take for granted. So that when the aid-worker meets the first of the young women, many of them carrying babies, who after descending the mountain ranges of the border have toiled across the vast flat and watered plains to her encampment in the green-zone, she is made aware, not for the first time, that she is the specialist, with a specialist’s skills, tending to people who themselves lack them. The girls are bent under loads, weighed down with babies or young children on their hips. Many of them are too young to be mothers; they carry nephews and nieces, the children of elder siblings, women who, the aid-worker knows, have died of unnatural causes. The aid-worker notices, as she touches the children for the first time, relieving the girls of their various burdens, how beautiful the women are. Their strong, limpid eyes glow from smooth-skinned faces—weary, worn, still warm with the exertion of days and weeks on the mountain-paths. The aid-worker is neutral beside them, even nondescript: her pale limbs are concealed by synthetic fabrics to protect against insects and the fierce tropical sun, gloves and sometimes disinfectant on her hands, to ward off malign microscopic intrusions. In her dun clothing, she feels diminished next to these exhausted, exquisite women, loosely covered in bright-coloured clothing. Their arms and wrists are finely-boned, adorned with childish jewellery, their smooth, dark feet often bare. The breasts of those bearing babies are also left bare, given to the open air. The women have no self-consciousness; they might not care if they did. But this is how things are on the border: rich with contradiction, and the aid-worker has grown used to it. Later that night, after the young women, and those who have followed them, have been treated and given shelter, fed and properly clothed, the aid-worker goes to the common area outside a tent-enclosure. There she meets with some of her colleagues: doctors and nutritionists, nurses and anaesthetists. All are tired but satisfied with the progress of the day. On the margins of the compound the palms bend and sway lightly in a mild breeze, hoopoes call from the adjacent stand of forest where, some have said, wild animals can sometimes be seen—elephants and even panthers. ‘So long as it’s not guerrillas, from over the border,’ one of them says, a man’s voice, jocular in the night. No-one can drink here, but many smoke, especially the European doctors, who might pride themselves on their immunity from the usual weaknesses. They are as if the gods of the place, who have come in from on high, and wield benign power over their domain. ‘I have heard all kinds of noises, in the night. Unearthly, incredible things,’ the same man says. A voice says, ‘It’s the wild pigs, routing for food’. Birds cachinnate in the tree-tops; from deeper in the scrub surrounding, there are sounds of movement. He gets up and stretches his legs, as if to retire. ‘Wait, my young friend, not so soon. Let me ask you. We need to hear your opinion.’ It is the first man, with his garrulous, deep voice. ‘What would that be, great Hector?’ he playfully replies. His tone is ironic in a way apt to be misunderstood. ‘What does matter, in your view?’ Rhea says, blowing out plumes of smoke. The group sit otherwise in silence on the border, as if awaiting a tribunal. The people who have come to them from the other place sleep now, it seems peacefully, under plastic roofs and between hessian walls. The rain has stopped falling, though it might start again tomorrow. The older man speaks again, interested now. ‘As if we were just—what? Puppets?’ Hector says, and makes a snorting sound. ‘You really are undermining my authority now!’ he says again, coughing on his cigarette. There is an uncomfortable silence while those who have remained wait for his answer. But none is forthcoming. Tom, or Achilles, lifts his hand weakly to them, before departing the company. The next day there is, as there always is, a lot to do. It is raining, and many of the lower-lying tents are inundated. Many of the people are sick, with flu and infections. The eyes of many of the older ones are inflamed with filmy sores. The children’s noses run, and because the people spit phlegm everywhere they go, illness moves fast. Some of those who have been more badly injured in crossing the mountains, who have met with mines, or whose wounds are too far advanced, must have limbs amputated. Many others can barely walk and require crutches or wheelchairs, in short supply out here in the field. The latrines, too, are overwhelmed with use; food that has been prepared in rudimentary kitchens gathers flies, and children eat it sloppily, with their hands. Some of the older ones refuse to eat at all, as if they distrust food that has not come from the village, because it is foreign to them. It is while she is talking with the interpreter, in the course of processing some new arrivals, that the aid-worker hears of a rumour. It has begun making the rounds of some of the refugees. The interpreter tells her of some of the first arrivals from a remote, lesser-known village, visited with massacre early in the outbreak of violence. They have recognised one of the newcomers: a young man, with a wound on his brow, who is generally silent and receives food and treatment without thanks. The aid-worker has come across him, but she has thought he is still in shock, the witness to events a teenager should not see. ‘No,’ the interpreter says. ‘They say he was one of the group of attackers—young men armed with machetes and knives. They came before dawn and left only those here now still alive.’ He has infiltrated the refugees, the interpreter says, to escape retribution over the other side, and to disappear on this. The words in the interpreter’s mouth are strangely of another time; he would probably have to describe himself as a half-caste as well, applying an old, foreign language to the people to whom he belongs, the once-colonised. But he has been away, in the West, and returned; he is one of a new class who are entitled to old words for ambiguous things. ‘They are fleeing,’ he says, ‘because they were never welcome.’ It is right that they should leave, he thinks, and return to the places they came from—just as the colonisers did. No-one likes having foreign interlopers on their native soil. ‘Have you spoken to him yourself?’ the aid-worker asks. She nods. ‘Unless he’s heard already.’ The aid-worker leaves Tom alone with his equipment, and returns to the women who are under her charge. She tells the interpreter they might have to get the boy out of there at any moment. ‘Then I’ll have to go with him,’ he says. ‘There’s no-one else who can speak his language.’ Nor is there anyone who knows the people as well as he does. ‘You don’t know?’ the interpreter says. She doesn’t answer him. She’s spoken casually, as if they are discussing a revision of the roster. The women see him nod his head, and leave the aid-worker alone again. They wonder if the white woman and the dark man, almost as dark as they are, and so informal with each other, are in the privacy of their separate places secretly lovers. Where they come from, that would be reason enough for fear. But under cover of darkness, where the staff gather to speak of the day’s events, such a thing seems more possible, and even the fear something to surmount. There is always escape, after all. The question of the teenage boy is broached, eventually, by Tom. ‘We ought to evacuate him, tomorrow,’ he says. ‘Anywhere but keep him in the camp.’ No-one speaks while the question hangs in the dense, humid air. It might rain again, that night; if it does, it might not stop for days. Hector puffs furiously on his cigar and he really could be blowing hurricanes of wrath across the millennial heavens. ‘I’ll see you tomorrow, young man. You’ll come to my quarters, at a time to be decided. For now, you are suspended from further duties. Now get lost, get out of here.’ He raises himself from his camp-chair, and throws the half-smoked cigar into the murky edge of the enclosure. But as soon as the younger man is gone, he smiles desperately. ‘Well, that was a bit of fun, wasn’t it? You all enjoyed that, didn’t you?’ Hector’s voice trembles, he is embarrassed by his outburst, and looks like he might break into tears. ‘A good thing it’s all play-acting, as he says,’ he adds. ‘I think it’s time you took a rest,’ Rhea says. An expansive, celestial smile traverses his broad Olympian features. ‘For real?’ he says, his eyes dilating with regained power. ‘As real as it gets,’ she says, stubbing out her cigarette. But the aid-worker decides to stay in, and write her own account of events. In a lined notebook she writes of the cloying air, the mosquitoes, the sense of moist inevitability, seeping into everything. She is waiting for the rain to break, again, like a new mother with her waters. There is water everywhere, in her picture of things. The picture includes the interpreter, the machete boy, and Tom, and the portentous leader of their crew, like figures in a film. But not herself, she stands outside it: to herself, she is just a worker, an aid-worker, in a place of need, and of privation. Everyone needs her; but no-one really needs her. Most of the people there barely remember, or even know, her name. Even in a fiction she would probably go nameless. Like the interpreter, and the machete boy, who are perhaps her confreres. If she ran away with the interpreter, she wonders, would they set up a life together, somewhere, with the machete boy as an adopted son? There’s no reason why not, she thinks, it would be an acceptable outcome. In her world, however, it would be a make-believe. What would she say to the suspected killer, a teenager with blood on his hands, and whose language she doesn’t speak? Would he care what she has to say, any more than anyone else would? When she goes on rounds of the different wards, she takes care not to look in on the boy. No attention should be drawn to him. She agrees with Tom, and would help him make the escape, if anyone asked. But no-one asks her what she thinks, not even the interpreter. They expect her to do her job, dimly, as befits her bland and mousy appearance. Like someone in a lab, or a primary school, or a factory, doing a dim and minor job that few others want to do. She decides to go and find the interpreter, and take him up on his offer of lunch. The interpreter is meeting with the teenager in his corner of the camp. Nor can she find Tom, who has been taken off work and is confined to his camp quarters. It is only after nightfall, when the electric lamps begin to come on, and candles are burning among the bivouacs of the refugees, many of whom prefer to sleep outside, that she hears there has been a disturbance. One of the women comes to her, still wearing the ragged clothes of her journey over the mountains. She points briefly to her chest and shakes her right hand in a fluid, dismissive motion: there is something wrong with the heart, hers or another’s the aid-worker can’t tell. The woman looks quickly back over her shoulder, and points towards the authorised area of camp administration and central quarters. The aid-worker goes there and among the doctors’ inner circle meets Rhea, regally taking control of the crisis. She gathers that someone has died: the head of operations, the hero Hector, found dead in his bed. She is not alarmed by the news. No-one has seen anything, there is no evident injury, he might have had a heart-attack. She takes hold of his arm. ‘The head is dead,’ she says. The interpreter nods, still breathless. To him it seems a clear thing, to make the obvious inference. ‘People can be strangled,’ he says. His hair is awry and sweat beads on his face, as if he’s been running, wildly, in circles, like someone searching for the end of a labyrinth. ‘He was found in a deep repose.’ The words coming from her mouth are as if spoken by someone else, she is sure she has never used the word repose before, it seems completely alien to her. ‘You called, and I had nothing else to do,’ Achilles tells him. Achilles lifts the large syringe held down by his side and quickly plunges the needle into the chest of the other man, its full dose of hydromorphine discharged directly into the heart. ‘And there will be no mark to show,’ Achilles says. ‘Maybe just a little blood, but I’ll clean it up. Barely a surface wound.’ Hector lies still in the bed, a large smile gradually transforming his face, that could come from a final wound of pride. Achilles looks down at him for a moment longer. ‘One day you’ll be where I am now,’ the doctor says. ‘And you’ll know that it’s right, like this.’ Achilles takes a last look at the doctor before leaving his sunken tent. The sun is high again, outside; the paddies stretch away in every direction. He can hear the noise of people, preparing food, moving from place to place. There are people talking, with urgency, engaged in life. There are still all the others to save, and those not to. Only a god can know how to choose between them, he thinks. The aid-worker nods, looking past him. 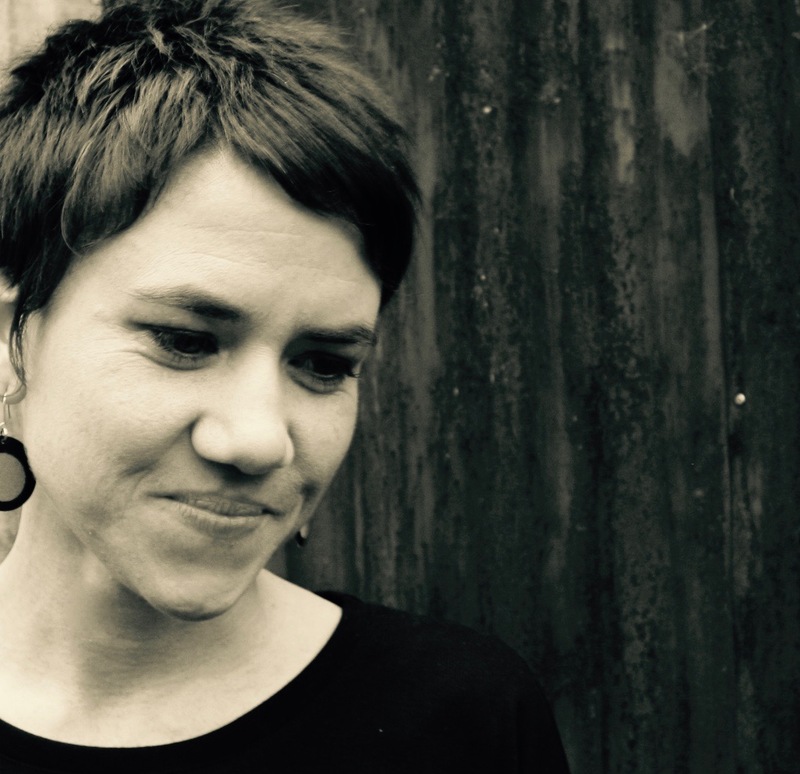 Nadia Rhook is a white settler historian, teacher, and poet, recently moved onto Whadjuk Noongar Boodja, WA. 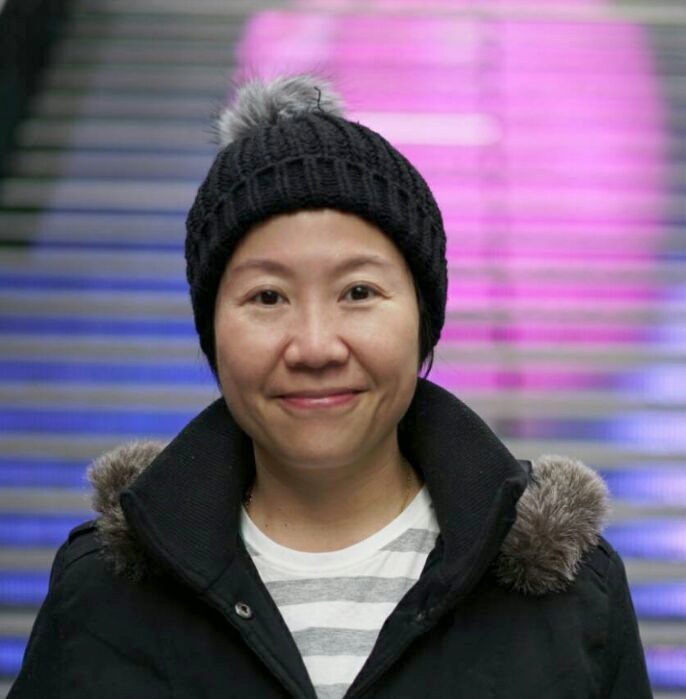 Her research is much inspired by her background in ESL teaching, and in 2016 she curated the City of Melbourne heritage exhibition Moving Tongues: language and migration in 1890s Melbourne. 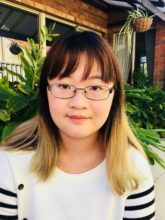 She’s published her poetry in Cordite and Peril Magazine, and is currently writing a book about Asian migration in colonial Melbourne, and researching the history of Vietnamese indentured labour. Artist statement: ‘The Greeting’ is written in response to the work of Hong Kong-born Australian artist, John Young. ‘The Meeting’ is an embroidery that layers the material history of the Chinese diaspora in 19th Century Victoria, in particular that of two men, a labourer, Jong Ah Siug, and merchant, Lowe Kong Meng. in the middle of our sojourn down a Street named after that old French physician.